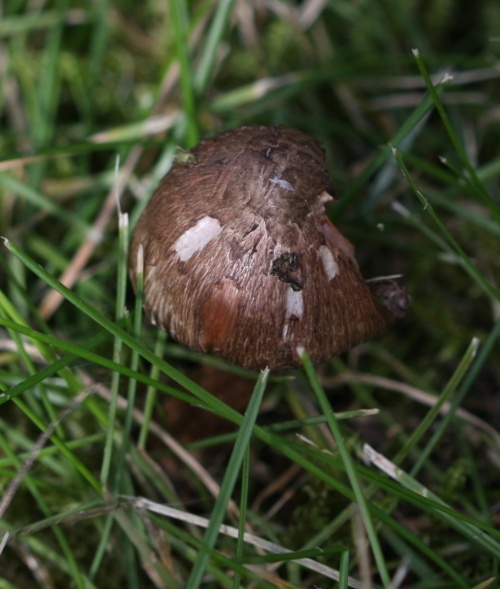 Convex, with a central peak, expanding with age, coarsely fibrous, margin ragged, white then golden brown to reddish brown, to about 6 cm across. Odour strong, fragrant or spicy at first, becoming unpleasant in age; sometimes compared to over ripe pears. 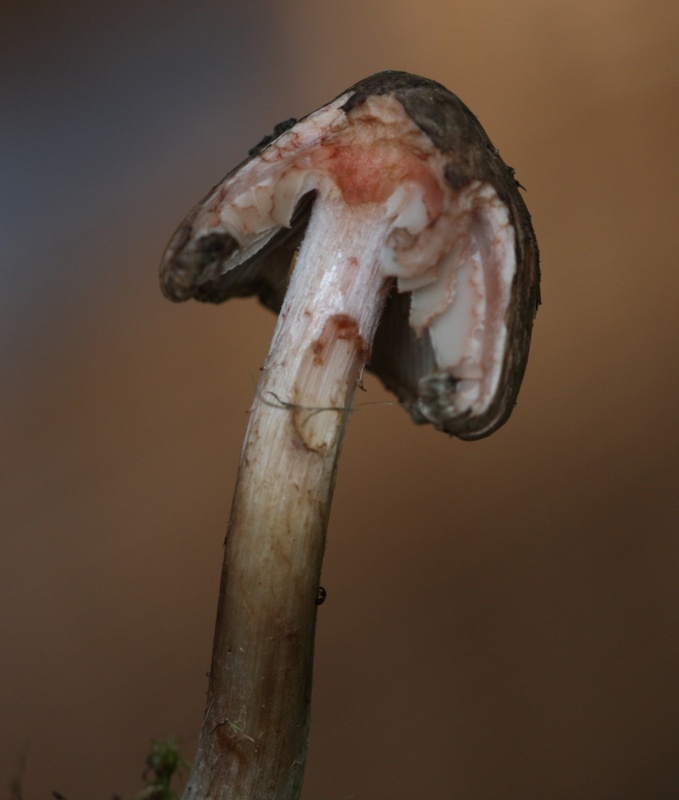 Solitary or in small groups under broad leaved trees and occasionally under pine.